No. 10/10 Kansas (9-1) makes its final non-conference road trip of the 2014-15 season when it travels to Temple (7-4), Dec. 22, at 6 p.m. (Central) on ESPN2. The game will be played at Wells Fargo Center in Philadelphia. Kansas won its eighth-straight game of the season with a 96-69 victory against Lafayette College on Dec. 20 in Allen Fieldhouse. Temple is coming off an 82-62 win at Delaware on Dec. 18. The Owls are 5-0 at home this season yet this will be their only game in the Wells Fargo Center for 2014-15. KU and NBA legend Wilt Chamberlain was from Philadelphia as are current Phoenix Suns twins and former KU players Marcus and Markieff Morris. No. 10/10 Kansas (9-1) won its 12th-straight game inside Allen Fieldhouse with a 96-69 win versus Lafayette on Dec. 20. KU’s eight-game win streak is its longest since winning 18 consecutive during the 2012-13 season. The Jayhawks average 72.0 points per game and have a +8.2 scoring margin. Kansas has outrebounded eight of 10 opponents this season and has a +7.2 rebound margin. KU averages 12.8 assists, 6.4 steals and 4.7 blocked shots per game and has 10 players who average 10 or more minutes per game. Junior F Perry Ellis leads KU with 13.3 points per game and 6.6 rebounds per contest. Named the Big 12 Player of the Week (12/1), Ellis has led KU in scoring five times this season and in rebounding four times. He has also posted three double-doubles in 2014-15. Sophomore G Frank Mason III is coming off a career-high nine assists against Lafayette (12/20) and leads KU with 41 dimes and 14 steals through 10 games. Mason has multiple steals in three of his last four games, is scoring 10.9 points per contest and, at 5-11, pulls down 3.8 rebounds per outing. Sophomore G Wayne Selden, Jr., is second on the team with 34 assists and has a 9.4 scoring average after his 12 points against Lafayette (12/20). Selden is tied for the team lead with 13 three-pointers made. Rounding out the KU starters are freshman G Kelly Oubre, Jr., and sophomore F Landen Lucas. Oubre is coming off a career game where he scored 23 points and pulled down 10 rebounds in recording his first career double-double while at Kansas. He has started two games and is averaging 5.4 points and 3.0 rebounds. Lucas has started the last eight games for KU and is averaging 2.8 points and 3.2 rebounds per game. Freshman F Cliff Alexander is fourth on the team in scoring with 8.8 points per game and leads the Jayhawks with 13 blocked shots. Alexander’s 6.3 rebounds per contest are second on the squad. He recorded his first double-double as a Jayhawk with 12 points and 10 rebounds against Florida (12/5). Sophomore G Brannen Greene is tied with Selden with a team-best 13 three-pointers, including a 5-for-5 effort at Georgetown (12/10). Greene has two starts and is scoring 6.0 points per game. Junior F Jamari Traylor is averaging 12.0 points and 6.0 rebounds in his last two games. He is second on the team with 11 blocked shots and has eight steals to complement his 5.2 ppg and 4.3 rpg, which is third best on the team. Freshman G Sviatoslav Mykhailiuk has six starts and scores 5.2 points per game after tying his season high with 11 points versus Lafayette (12/20). Mykhailiuk matched his season best with three threes against Lafayette and has made 11 this season. Redshirt junior F Hunter Mickelson is coming off his best performance as a Jayhawk where he scored eight points and pulled down seven rebounds against Lafayette (12/20). Ellis, Selden, Alexander and Oubre are on the Wooden Award Preseason Top 50 list as KU is one of only two schools, Kentucky being the other, to have four on the list. 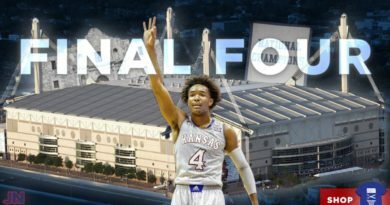 On Dec. 13, KU head coach Bill Self announced freshman G Devonte’ Graham (5.9 ppg, seven steals) has a sprained toe and will miss four weeks due to the injury suffered at Georgetown (12/10). Located in Philadelphia, Pennsylvania, with an enrollment of 39,000, Temple (7-4) has won two of its last three games after its 82-62 win at Delaware on Dec. 18. The Owls are coached by Fran Dunphy who is 174-101 in his ninth season at Temple and 484-264 in his 26th season overall. A member of the American Athletic Conference, Temple averages 64.2 points and 37.6 rebounds per game. The Owls are shooting 36.9 percent from the field and 72.1 percent from the free throw line. Temple averages 17.4 free throws, 6.3 steals and 4.4 blocked shots per game. Senior G Jesse Morgan became eligible following the fall semester and in his first game back scored 16 points and was 4-of-8 from three-point range at Delaware (12/18). He also pulled down four rebounds and had two steals. Junior G Quenton DeCosey, senior G Will Cummings and redshirt sophomore G/F Daniel Dingle have started all 11 games for Temple this season. DeCosey is scoring 14.8 points and leads Temple with 19 three-pointers made. He is second on the team with 14 steals. Cummings leads TU with 41 assists and 16 steals to complement his 14.5 scoring and 6.0 rebounding averages. He is making 78.2 percent from the free throw line this season. Dingle averages 6.7 points and 3.9 rebounds per game and is second on the team with 23 assists and nine three-pointers. Junior F Jalen Bondrounds out the Temple starters. He leads the team with a 6.2 rebound average and scores 6.1 points per outing. Like Morgan, junior G Devin Coleman made his season debut at Delaware where he scored nine points and pulled down four rebounds in nine minutes. Other TU regulars include sophomore G Josh Brown (8.0 ppg, 4.2 rpg), sophomore F Mark Williams (6.3 ppg, 4.9 rpg), freshman F Obi Enechionyia (4.0 ppg, 3.5 rpg, team-high 12 blocked shots) and junior F/CDevontae Watson (2.2 ppg, 10 blocked shots). Kansas leads the overall series with Temple 8-3 and has won the last three meetings. 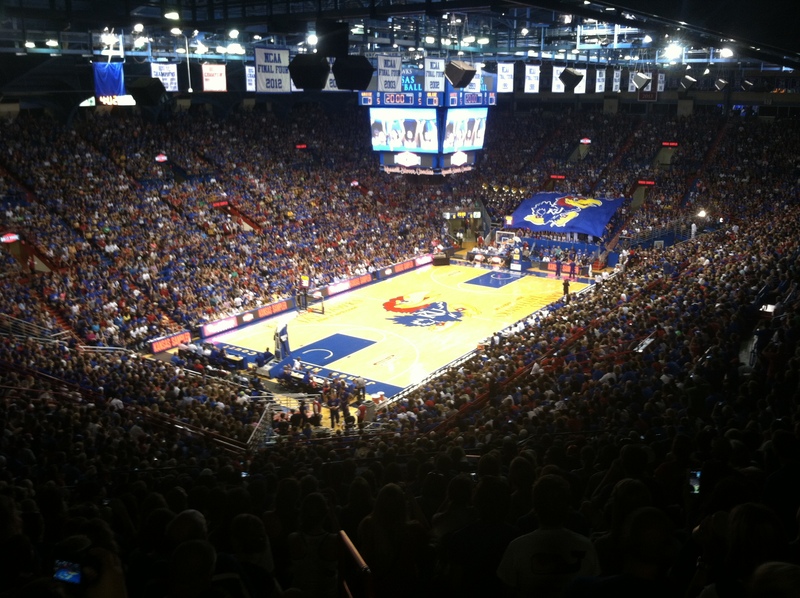 This is a return trip in a home-and-home series as Kansas defeated Temple, 69-62, in Allen Fieldhouse on Jan. 6, 2013. Only two current Jayhawks played against Temple in that game with Perry Ellis logging 10 minutes (two points and five rebounds) and Jamari Traylor going eight minutes (one point and two rebounds). Prior to 2013, the teams met in a home-and-home series during the 2009 and 2010 seasons. Kansas won both those meetings: 71-59 on Dec. 20, 2008, in Allen Fieldhouse and 84-52 on Jan. 2, 2010, at the Liacouras Center in Philadelphia. This series dates back to 1940 when the Owls defeated the Jayhawks, 40-35, in Philadelphia. Five of the 11 meetings have been played on neutral courts. Kansas is 60-16 against current membership of the American Athletic Conference and has faced nine of its 11 league members (26-4 vs. SMU, 8-3 vs. Temple, 6-0 vs. Tulsa, 6-2 vs. Memphis, 5-2 vs. Houston, 3-1 vs. Tulane, 3-4 vs. Cincinnati, 2-0 vs. Connecticut, 1-0 vs. South Florida; and has not played Central Florida or East Carolina). The NCAA is listing statistics and Ratings Percentage Index (RPI) daily. Entering the Dec. 20 game versus Lafayette, Kansas was ranked No. 1 in the RPI. In Kansas’ eight-game winning streak, the Jayhawks are averaging 76.4 points and have a +13.0 scoring margin compared to 72.0 ppg and +8.2 for the season. Additionally, KU is shooting 45.8 percent from the field and averaging 14.1 assists and 6.4 steals per game during its streak. In its last three games, Kansas is making 82.7 percent (81-98) from the free throw line. The Jayhawks converted on a season-high 12 three-point field goals against Lafayette (12/20). KU has now shot 50 percent or better from beyond the arc in three-straight games, hitting 28-of-51 three-point attempts (54.9 percent) in that span. KU has outrebounded eight of 10 opponents this season, including three by double-digits (42-31 vs. UCSB on 11/14, 44-22 vs. Tennessee on 11/28 and 44-26 vs. Lafayette in its last outing on 12/20). Freshman G Kelly Oubre, Jr., is averaging 13.0 points and 6.0 rebounds per game in his last three contests, which includes his first career double-double with 23 points and 10 rebounds versus Lafayette (12/20). Oubre is 5-for-9 from three-point range and is 10-for-12 from the line in that span. Sophomore G Frank Mason III was 6-for-8 from the field, including 2-for-3 from three-point range, against Lafayette (12/20). He is 4-for-6 from beyond the arc in his last two games. Mason also had nine assists and one turnover versus Lafayette. Sophomore G Wayne Selden, Jr., has made multiple threes in each of his last four games and in six outings this season. Freshman G Sviatoslav Mykhailiuk tied his season-best 11 points and three three-pointers against Lafayette (12/20). 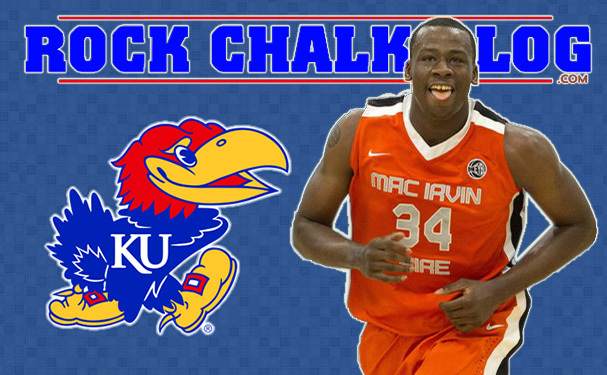 Freshman F Cliff Alexander has multiple blocked shots in two of his last three games. His 4-for-6 shooting effort against Lafayette (12/20) was his best shooting game since Nov. 28, when he was 5-for-6 versus Tennessee (11/28). Sophomore G Brannen Greene is 7-for-12 (58.3 percent) from the field in his last three games, including 6-for-10 from three-point range. Greene has made 17-straight free throws dating back to last season, including 13-for-13 in 2014-15. Junior F Jamari Traylor is averaging 12 points in his last two games and is 8-for-9 from the line in that span. He has two double-figure scoring games this season with both in his last two contests. Junior F Perry Ellis has pulled down six or more rebounds in four of his last six games. He is 11-for-13 (84.6 percent) from the free throw line in his last four games. Since Dec. 6, Big 12 teams are 23-0 against non-conference competition, which includes three Kansas victories. Including Kansas at 9-1, eight Big 12 teams are unbeaten or have one loss, which is more than any other conference in the nation. Riding an eight-game winning streak, free throw shooting has been a key for the 10th-ranked Jayhawks men’s basketball team. Kansas has made 77.5 percent from the charity stripe in the last eight games compared to 74.6 for the season. More impressive is that KU has shot 82.7 percent from the line in the last four games, with three of those being narrow wins for the Jayhawks. KU was 84.4 percent (27-37) in the 71-65 victory against Florida (12/5), 78.1 percent (25-32) in the 75-70 win at Georgetown (12/10) and 91.3 percent (21-23) in the 63-60 triumph against Utah (12/13). KU was 8-for-11 (72.7 percent) against Lafayette (12/20). At 74.6 percent free throw shooting for the season, the 2014-15 Jayhawks are on pace to set the single-season record for percentage, and would surpass a record that has been held for 35 years — when the 1979-80 KU team shot 73.7 percent from the line. In the Dec. 15 national polls, Kansas men’s basketball is ranked No. 10 in both the Associated Press and the USA Today Coaches’ polls. The Jayhawks have been ranked in each of the last 110 Associated Press polls dating back to the 2008-09 season, including in the top five 50 times. In the coaches’ poll, the Jayhawks have been ranked in each of the past 116 polls and in the top five on 54 occasions. On. Dec. 5, the U.S. Postal Service released two commemorative postage stamps featuring Kansas men’s basketball legend Wilt Chamberlain. One stamp is a photo Chamberlain in a Philadelphia Warriors uniform and the other a picture of the Naismith Basketball Hall of Famer in a Los Angeles Lakers uniform. One of the greatest basketball players ever, Chamberlain quickly made an impact on the KU basketball program from 1955-56 (his freshman year) through 1957-58. In his freshman basketball debut, he scored 42 points as the freshman team defeated the varsity. The following season, Chamberlain’s varsity debut was equally impressive as he poured in 52 points and grabbed 31 rebounds against Northwestern. That scoring total still ranks as a KU single-game record. In 1957, Chamberlain led the Jayhawks to a 24-3 record and a spot in the NCAA finals where KU was defeated by North Carolina, 54-53 in three overtimes. Despite the loss, Chamberlain was named tournament’s Most Outstanding Player. He was a two-time All-American and All-Big Eight selection while at Kansas. Chamberlain was a versatile performer as he also lettered in track. He cleared 6’6 ¾” in the high jump to tie for first in the 1958 Big Eight Championships. After leaving school following his junior season for the Harlem Globetrotters, he became the NBA’s second-leading all-time scorer (31,419 points), Rookie of the Year in 1960, four-time NBA Most Valuable Player and 10-time All-NBA performer. He also set the NBA single-game scoring record March 2, 1962, with 100 points against the New York Knicks. Chamberlain, who passed away on Oct. 12, 1999, at the age of 63, was elected to the Naismith Basketball Hall of Fame in 1978. Kansas returns home to Allen Fieldhouse for a Dec. 30 game versus Kent State at 7 p.m., on Jayhawk IMG Network/ESPN Full Court/ESPN3. The Jayhawks will close out non-conference play when they host UNLV on Sunday, Jan. 4, at either 12:30 or 3:30 p.m. (Central), on CBS. The time will be determined once the NFL playoff schedule is set for that weekend. KU, 10-time defending Big 12 regular-season champion, will open conference play at Baylor on Wednesday, Jan. 7, at 8 p.m., on ESPNU.